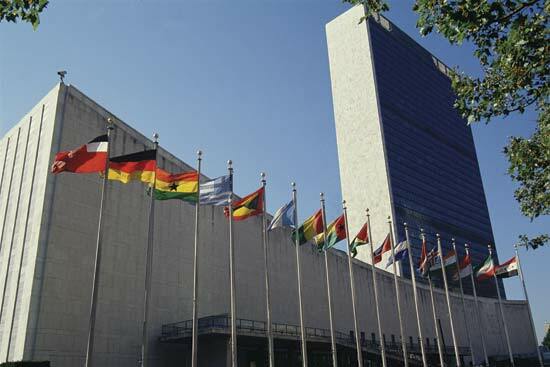 Youth attending a UN conference on women’s issues this week say UN security officers confiscated their backpacks after discovering pro-life literature. The offending flyer announced a project called the “Girls Coalition to Protect the Health and Innocence of Children,” which is an ad hoc group that sponsored the Grossman event. At the panel, girls from China, Spain and Mexico launched a petition calling on UN agencies to “Stop Sexualizing Children.” They charge the UN’s promotion of “comprehensive sexuality education” is harmful to children. The young people insist they were not leafleting, which is forbidden on UN property, though it is routinely ignored. The young students left UN grounds to make more copies. Upon their return they were stopped by UN security. The green backpacks and literature were stored in lockers at a security checkpoint. Students and their teachers were allowed to retrieve some of the backpacks as they left UN property. According to teacher Jody Dunn, some of the backpacks were not returned, those that contained a pro-life documentary called “180”. Dunn then insisted and those backpacks were returned also. Upon questioning by the Friday Fax, the security officer in charge at the time said guards don’t “target” items. He went on to say they were not allowed to discuss policies or procedures. Observers speculate that someone connected to Commission organizers complained to UN security. At the Cairo conference on Population and Development in 1994, without any evidence, former US Senator Timothy Wirth told UN security that a certain pro-lifer was a violent threat. The person was detained and deported.